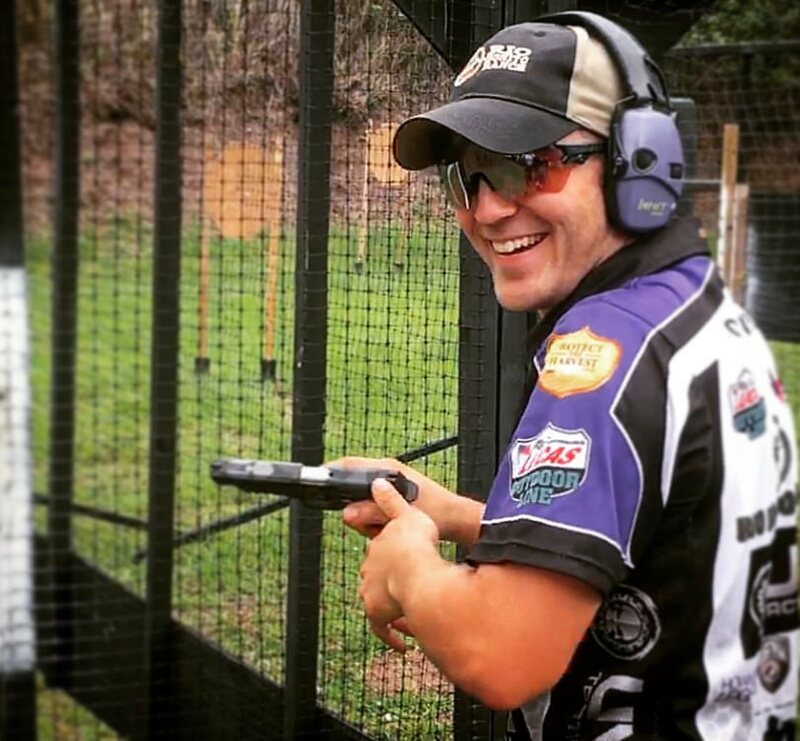 Professional 3-Gun competitorJoe Farewell left the relative comfort of a full-time job in law enforcement to pursue a career in training and 3-Gun competition. 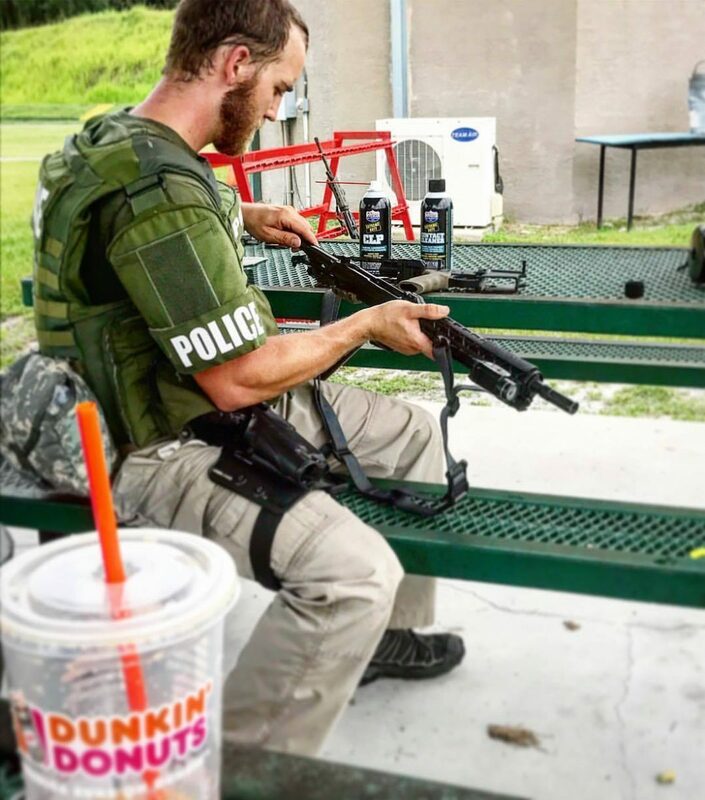 Today, Joe is competing nationwide while also running his company, Farewell Firearms Training. There he teaches a wide variety of classes on topics ranging from concealed carry to competition shooting. 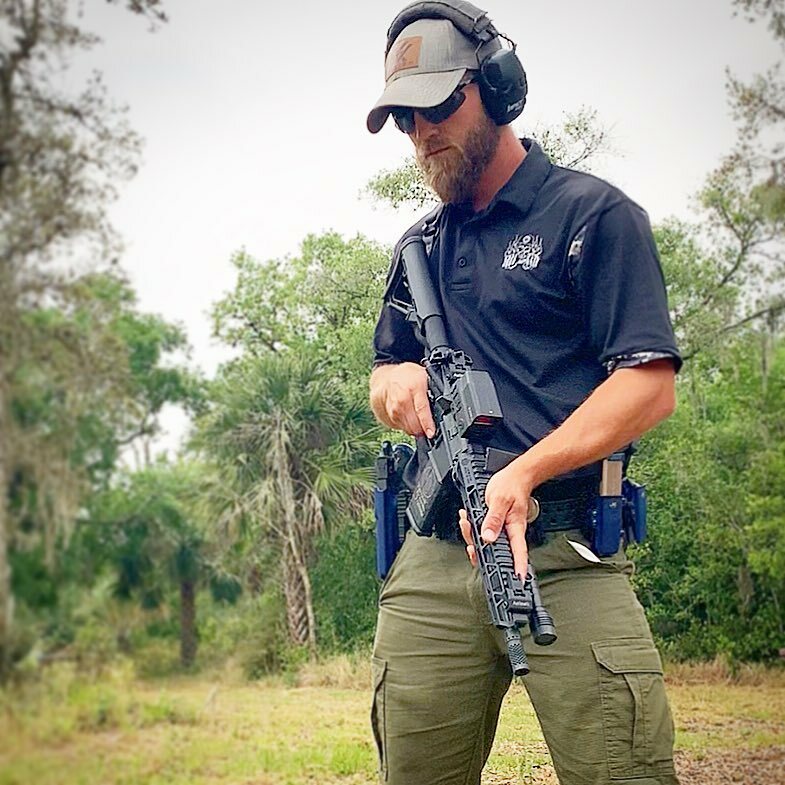 We recently sat down with Joe Farewell to discuss his transition from law enforcement to the professional shooting world, his preferred AR-15 setups, how competition can help with shooting skills and self-control, and the mistakes to avoid when starting out in competitive shooting. Q: Joe, can you tell our readers a bit about yourself and your journey? 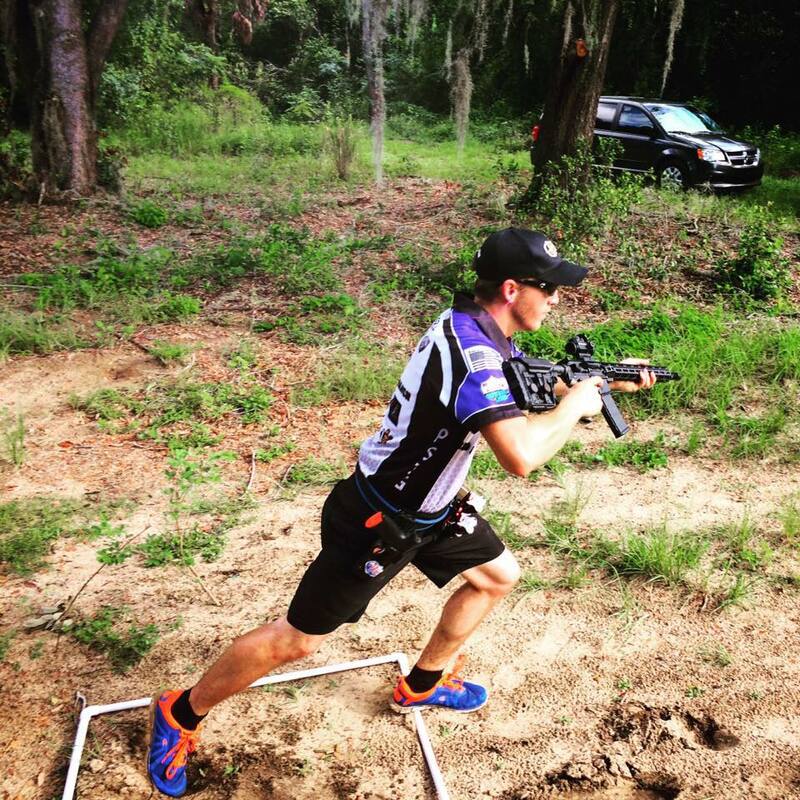 It’s a very brave leap you took to enter the world of 3-Gun competition full time. Joe Farewell: I started shooting at a young age, and got into hunting during my teens. It soon morphed into me shooting every weekend with a buddy of mine. We were fortunate enough to be able to use my family’s range on our property and simply spend time shooting targets. I remember that even then, while we were out on that range, we were just trying to push ourselves to get better and better. The competition thing always came very naturally. One day, we got word that a local club was hosting a USPSA pistol match. I was very curious, and can recall getting to see some videos of what it was all about, and I thought that it looked like tremendous fun. So, after seeing that, we immediately started cutting our own targets out, and we set up and practiced our own style of “stages.” We kept at it, and then after some time, I finally worked up the courage to actually go to one of the matches. Q: What was that first experience like for you? Joe Farewell: Well, when I got there, I really felt like I was ready to go. But the first time I actually had the buzzer go off next to my head, my mind went totally blank, and I had no idea where I was, or what I was doing. But as I continued shooting and getting better with that, people started asking me to train them in competitive shooting, and in some fundamental stuff as well. At first, I just looked at it as a way I could fund my ammo budget. But as time went on, it took off. And after being in law enforcement for six years, I went to reserve status last October and now I’m doing the shooting gig full-time. Q: Can you talk about that leap? Was that scary or did you have confidence that it was going to work out? Joe Farewell: There’s no point that you’re ever really ready to leave a full-time career with a pension and benefits, and a weekly paycheck…knowing what you’re doing every day to leave to go do your own thing. So yes, it was a bit scary. My wife and I had talked about it quite a bit before I took the leap. But what really tipped me off that it was time to go was I realized that my priorities had changed. In the unit I was in, I was the highest producing member of the team. I had made more arrests, made more seizures, made more cases than anyone else in the department. I was always the first one at work, the last one to leave. However I started to see that my priorities had shifted. I realized this when I found that I was getting up two hours early to work on setting up classes. Then I found myself trying to leave work on time…which was never me. I had always been the guy that would take the extra jobs and to do whatever I needed to do to get the job done. But here I was, trying to get off of work on time so I could get home to work on shooting and classes and travel plans and whatnot. I realized then that I needed to look for a way out. So I worked up a two- year exit plan, but then about six months later, I was like, “yeah, let’s just go ahead, pull the trigger on this.” That happened for a number of reasons. Politically speaking, the department went different directions, but I also just realized that competitive shooting was my passion. If I waited two years to do it, then I knew I would someday regret not using that time to chase my dream. And so, I made the leap…and frankly, I’ve never looked back. It’s been an incredible roller coaster, but it’s super fun. And it’s what I love to do more than anything. 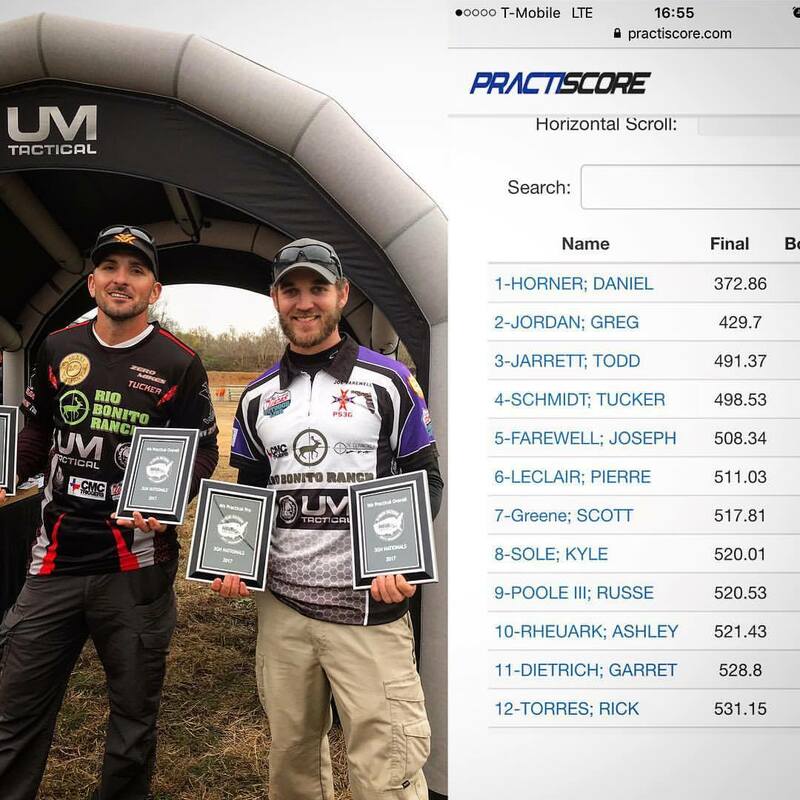 Q: Can you talk a little bit about the level of dedication it takes to be at a high level in a professional 3-Gun competition? Joe Farewell: It comes down to naming what you want. For me in law enforcement, I wanted to be one of the best of the best. I wanted to be the top producer, take all the jobs and make the most cases. I had a goal early on to be on the SWAT team. And with hard work and by clearly naming that goal, I was able to be a part of our SWAT team a month after I could finally be eligible. 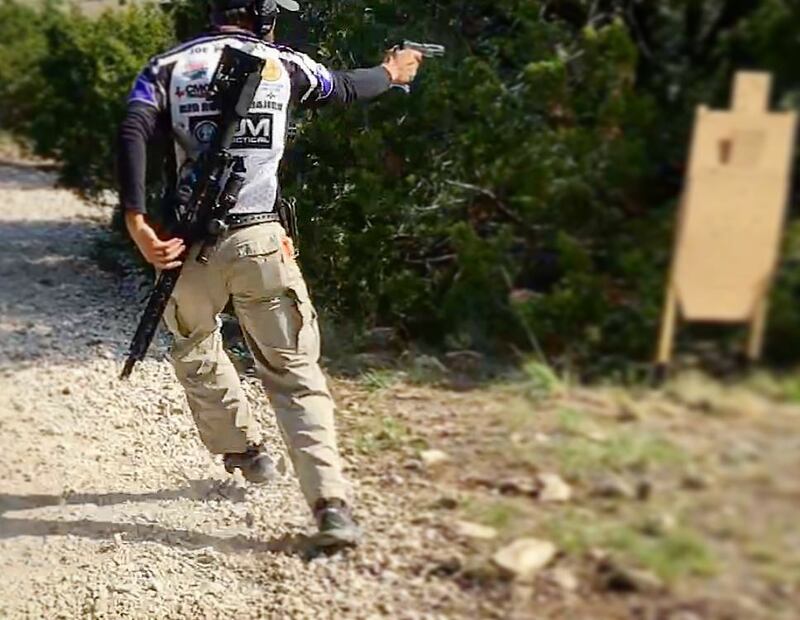 Going over into 3-gun competition is no different. You have to have a goal, whether it be that you want to win matches, you want to be at the top, or whether you want to be competitive in your segment…or you just want to go out there to have fun. You have to know what you want, and then you have to treat it as such. If you want to go out and be the best, there is a level of dedication that really is required for you to do that. So for me, I knew that I wanted to do really well at it for two different reasons. One, it was a lot of fun and I really enjoyed being competitive. But two, while I was in law enforcement, I looked at it like the skills it allowed me to work on could perhaps be potentially lifesaving tools. So my goals were two-fold. I wanted to be the best that could be for me, so I could get home to my family and, and for my team, to make sure I had their back. And then secondly, I wanted to become really proficient in the competition world. And to do that, it required a lot of focused dry fire training where I was pushing the speed. Dry fire training was also somewhat of a necessity. I was always on a very tight budget so I worked a lot on dry fire along with dedicated range time. However, it’s important to know there’s no amount of dry fire that can replace actual rounds down-range. That being said, you can’t just go out and shoot and expect to get better at 3-gun competition. You have to have purpose behind every round. Now, as circumstances dictated for me, I had a very limited ammo budget. I would often find myself at the range with only 50 rounds. And by necessity, I’d have to make every single one of those rounds count in the way that I shot it. I had to make absolutely sure I was getting training value for each round. That’s translated over to the way that I teach now. It’s a pretty low round count, but it’s high training value per round. But looking back and talking about dedication, for me it was just about staying focused, and working with what I had. Going to the range with a single 50-round box and continuing to put in the work…It’s just like going to the gym or doing anything else at a high level. If you want to perform, and it you want to be at a professional level, you have to show up and put in the work. Thankfully, the nice thing about shooting is the work is fun. 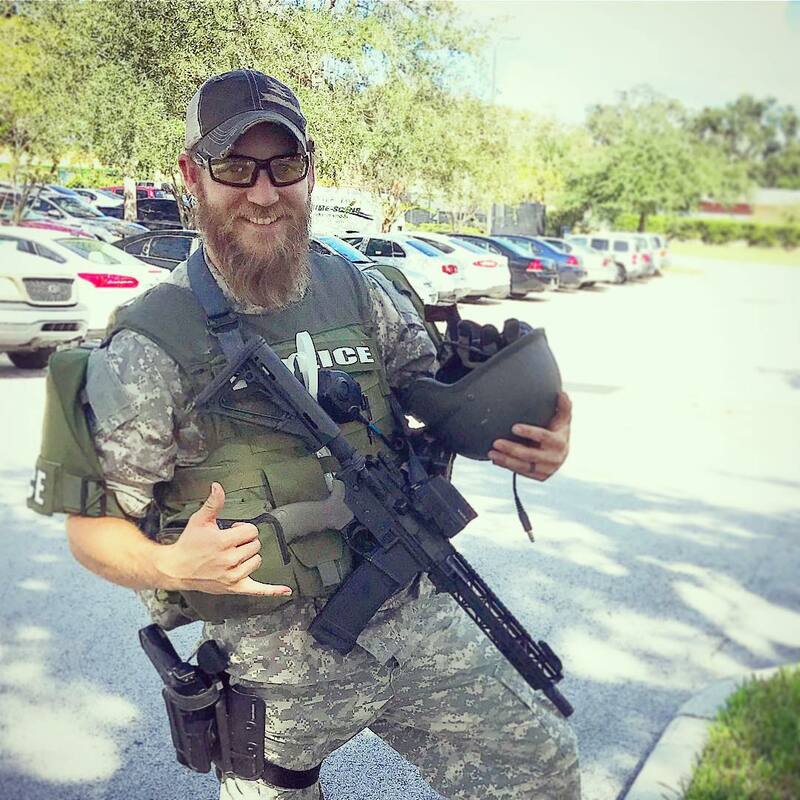 Q: Can you talk a little bit about some of the differences you experienced coming from a law enforcement background…I’ve heard competition described as a good place to work on both shooting skills and self-control. Would you say that’s accurate? Joe Farewell: So this is something that is a very touchy subject in both law enforcement and military communities as far as competition shooting goes. Many folks say “it’s a game and what we’re doing is real life” and yes, unfortunately there’s no way to fully train for a real life scenario where you are in a fight for your life. It certainly cannot give you the feeling of what it’s like to actually be in a fight. That said, it does have other benefits though. I can tell you that in all the law enforcement training I’ve done, all the SWAT schools I’ve been through, there’s very little training that has been able to better prepare me as far as actual shooting skills…as far as working under pressure, having to shoot accurately, I feel there’s not much better training out to test fundamental skills there than competitive shooting. And that’s really started to become apparent, I think. I see that more and more law enforcement agencies pursuing it, and they’re encouraging people to do it. I also see more and more military people are getting into competitive shooting just for that type of reason. Q: Obviously the “life and death” element is not there, but it seems like competition could at least be a good way to work on mindset and not letting things get to you. Can you describe what you feel when the buzzer goes off? I have to imagine there’s some actual pressure in that you’ve committed to this fully as a profession. Joe Farewell: When that timer goes off, a few things hit me at once. I want to go fast, I want to be effective…and I’ve got to be accurate or I’m going to lose. And so the competitive aspect comes out…some self-control is a must. So, I’m trying to shoot quickly and accurately. Also, at the same time, I know that nobody’s there to help me…If you have a malfunction, you’ve got to clear it, and you’ve got to do it fast. 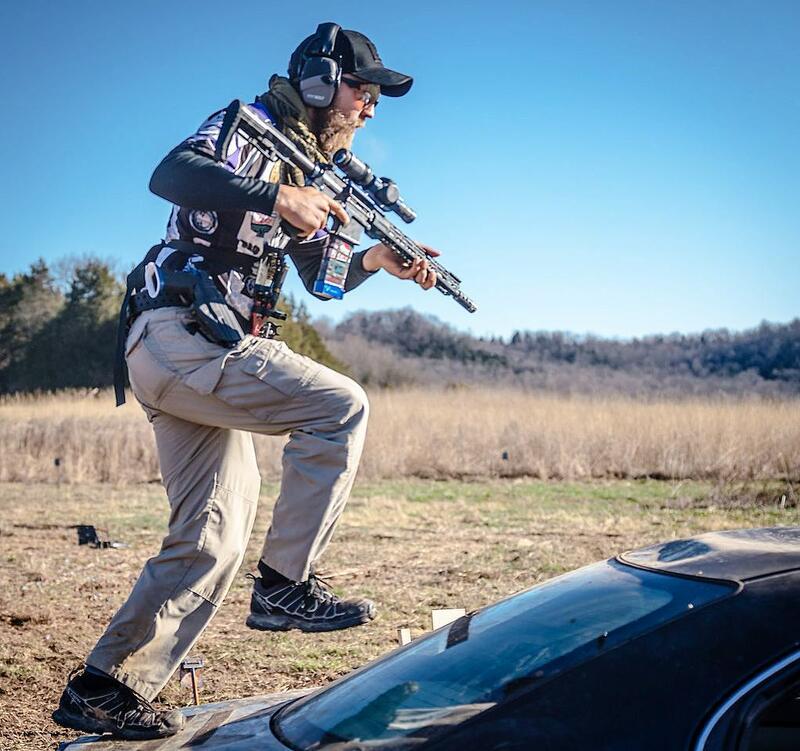 If you trip and fall, you’ve got to get up, figure out where you’re at, and keep on going while maintaining trigger discipline and muzzle discipline and keeping everything safe. And that is key, there’s no room for error in this sport. If you screw up a safety rule, you’re done. You’re going to go home for the rest of the day. That’s not good when you’re putting everything you have into making this your job. How that translates over to law enforcement is twofold. Number one, like I said, having the ability to work the gun and be accurate under time pressure. And two, it also improves your critical thinking and your gun handling skills. For me, there were many times where I would be either in a foot chase or have a sudden incident arise, and I wouldn’t have to think about how I’m going to draw my pistol from the holster. It would just be in my hand. Under a stressful situation, how you do things like that needs to be second nature. So that’s one of those skills where doing the dry fire and working under pressure with the timer can possibly help. 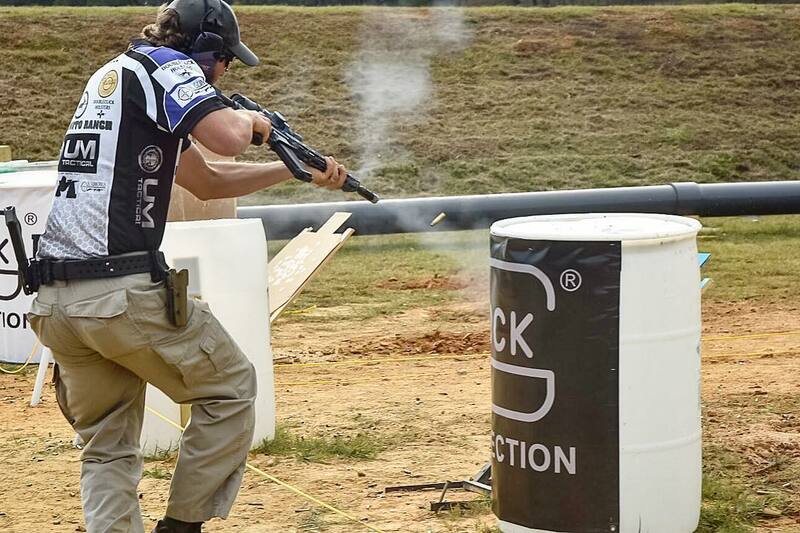 Skills such as drawing your firearm, moving while shooting at multiple targets and reloading can all be potentially be enhanced when you train for competition shooting events. And the other thing is for qualification purposes, if you are on a square range with 40 other officers lined up next to you, most people get really stressed out about that because they’re looking to their left and right. They’re seeing other people and everyone’s comparing themselves. But when you start shooting competition, you realize that the static range qualification that we do in law enforcement is easy. There’s no actual stress except for whatever you put on yourself. So what I found is I became much more professional on my qualifications because I was able to relax and just shoot. That’s because they were easy shots compared to what I was used to doing in competition, and the stress of having the people around me didn’t get to me anymore. Q: Can speak about the differences between rifles in your different professions? Joe Farewell: The patrol carbine that we were issued was a 16″ Bushmaster with an A2 carrying handle…nothing fancy about it, it was just an extreme basic duty carbine. I was fortunate enough to be on a SWAT team, which meant we could carry our own as long as we got it approved. So my ideal patrol carbine that I ended up building had a 10.5″ upper with a basic flash hider. I ran a Vortex UH-1…It was a bit of a beefier red-dot that was very reliable for me. I had a freefloat rail, a weapon light and then just a basic Magpul stock. I run a duty, three and a half pound trigger in it. So, that’s what my ideal rifle looked like. 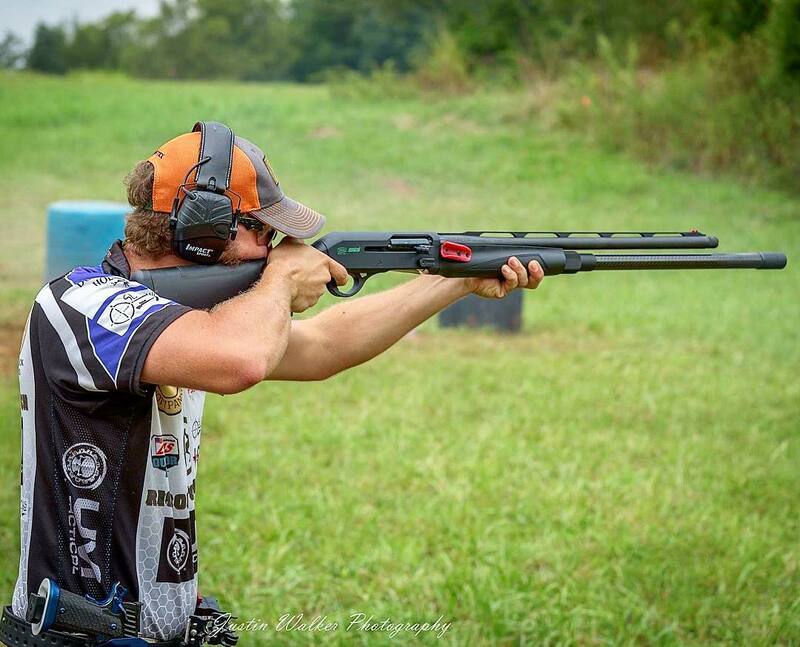 Transitioning over to a 3-Gun competition rifle is pretty simple. Really the only things you need to have an effective competition gun is a good trigger, a good optic and then a muzzle device, a muzzle break, compensator. Without one, you’re at a disadvantage because that really mitigates recoil. I found a company here in Florida, UM Tactical, that makes a tunable muzzle called the R.A.G.E. Compensator. I was able to use that on several different rifles to tune the recoil exactly how I want it to be. But those are the three things that I think that you really have to have for a competition rifle…trigger, optic, muzzle device. And when you have those three things, coming over from one side…from one rifle setup to another is really very simple. It’s just a matter of learning a different recoil pattern. Everything else is pretty much the same. Q: So in any advice you’d give for builders on barrel length or anything like that? 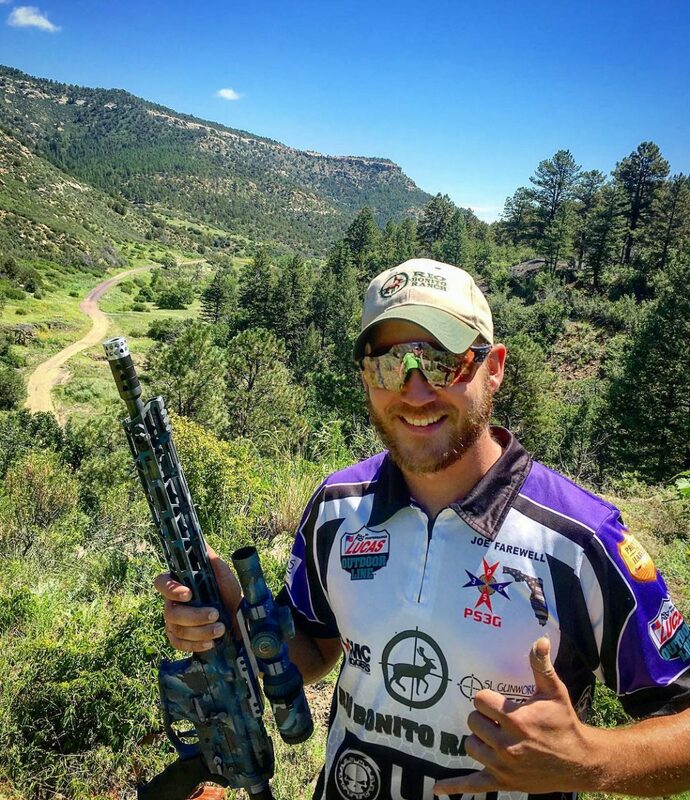 Joe Farewell: Ideal barrel length is entirely subjective. Some prefer an 18″ barrel, and they do that for two reasons. Typically, it’s so they get higher velocity and that helps with wind mitigation at long range. The second reason is for a lighter recoil impulse. With the rifle-length gas system and the little bit of extra weight, you’re going to have a much softer recoil impulse. I go the opposite route. I prefer a shorter rifle. Currently, I have a 16″ overall build that really has 13.7 inch barrel with the compensator milled into the barrel. What that lends itself to is much faster transitions and an overall lighter weight rifle. Now, it’s a little bit bouncier because of the recoil impulse from a mid length gas system. But with a good muzzle device, it’s minimized. 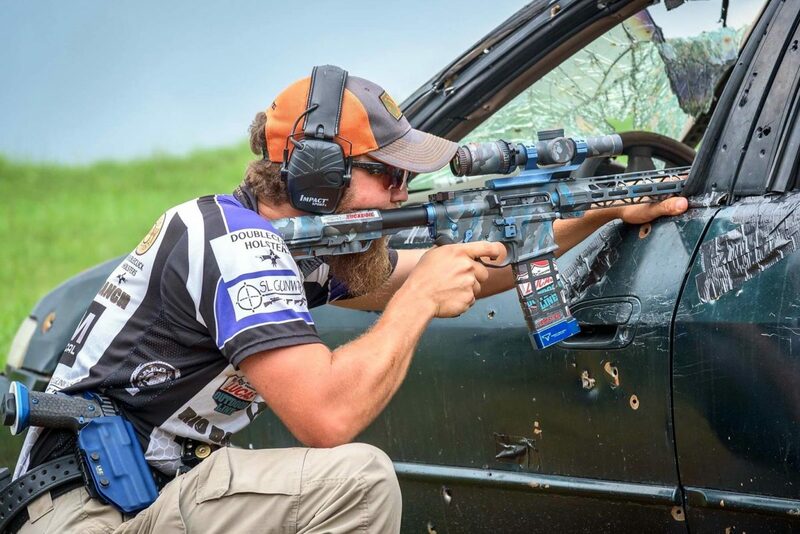 Q: Do you find that weight helps or hurts a rifle for 3-Gun Competition? 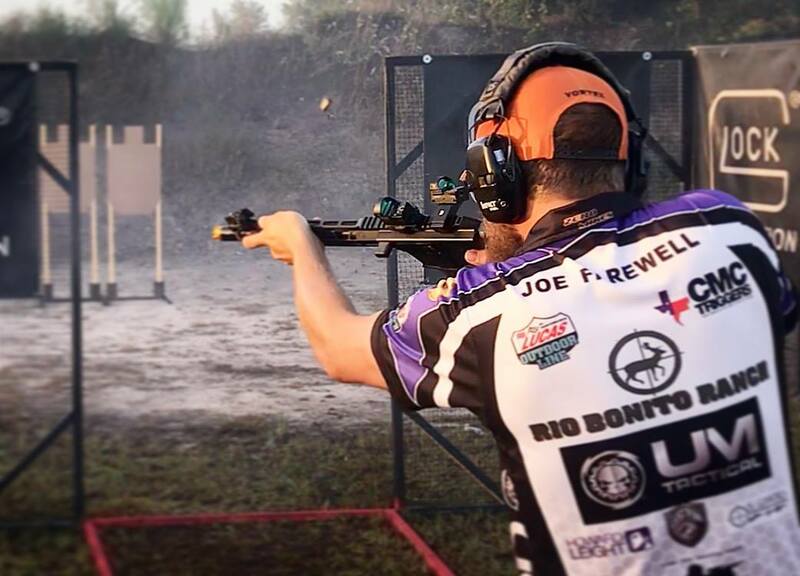 Joe Farewell: Well, I’ve gone both directions with my rifles for 3-Gun competition. I’ve got a very heavy 18″ rifle and I’ve also gone to the other side of the fence with super light builds. It really comes down to what you’re comfortable with. I know shooters at a very high level that have extremely heavy rifles. That’s what they like to shoot because the rifle basically doesn’t move when you pull the trigger. My own personal preference though is a lighter rifle that is easier to manipulate. And that’s just the way that I like to shoot. It helps me better transition between targets, transition around barricades and stuff like that…so for me, it’s better to have a lighter rifle. 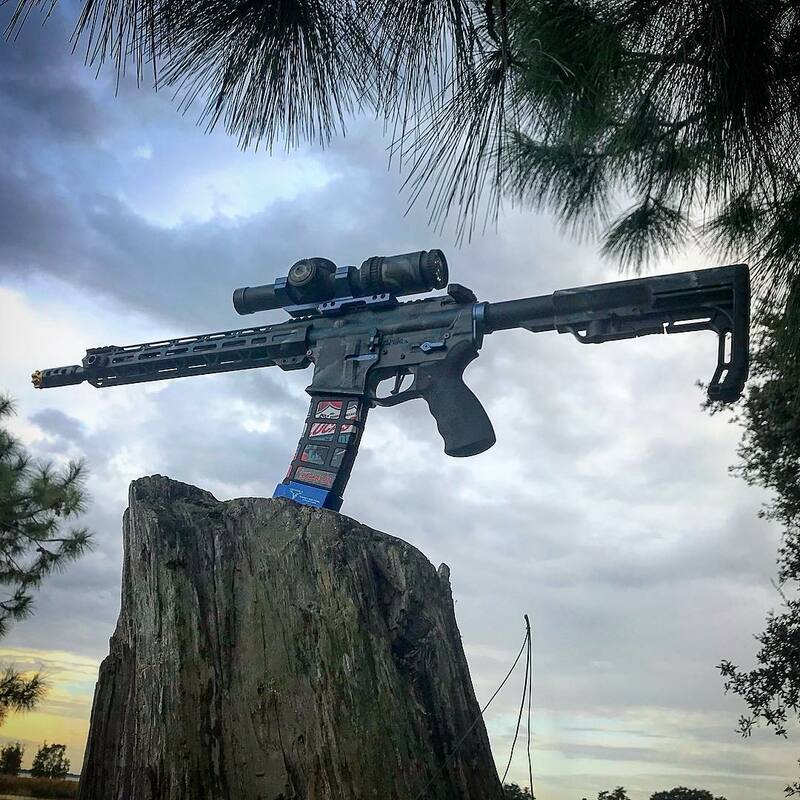 But because of the nature of the sport, you can customize your build however you want to, and there really is no, “this is the best way to do it.” It’s what works for you. And I encourage people not just to go out and buy or build a rifle, but to try different rifles, see what you like, see what works for you, and then go with that. Also, don’t be closed off to something that might not work for you today, but as you’re shooting style evolves, it might work for you next year. Joe Farewell: There’s definitely a few common mistakes that people do all the time. Probably the biggest one is not moving with purpose. A lot of times I see people that want to do better and they’re being real careful about everything. They stay at the same pace all the way through their shooting, no matter what they’re doing. The biggest breakthrough for them is just to get moving. If they can get their speed up and maintain a level of proficiency with accuracy and maintain the safety aspect, the hand speed, the foot speed, all of that stuff will really help. So I really focus on movement in my classes, both in manipulations of the gun and footwork, getting in and out of position. Another big thing is just having your gear set up properly. It should be set up for you to where it’s easy to access and easy to manipulate. If it’s not set up for you and you’re fighting your gear, you’re already doing yourself a disservice. Also, try not to simply get by with the cheapest of everything. Then you have folks on the opposite end of the spectrum, and they just want the best of everything. The’ll spend thousands of dollars on gear that they may or may not need. I preach that you can get into the sport with what you’ve got. As long as you’ve got a rifle, a pistol and a shotgun, you can start. we’ll figure the rest out. That said, I do have a “buy once, cry once” mentality on a few things. The first one is a good belt system. Being able to have your gear on your belt set up the proper way is important…The second one is a good optic. I see people going for the budget optics and you can get by on a budget optic, but you’re going to be buying another optic eventually. So I recommend people spending a little bit more and getting something mind-range versus getting something really cheap and struggling with more difficult targets, or wanting to buy another optic in three months. 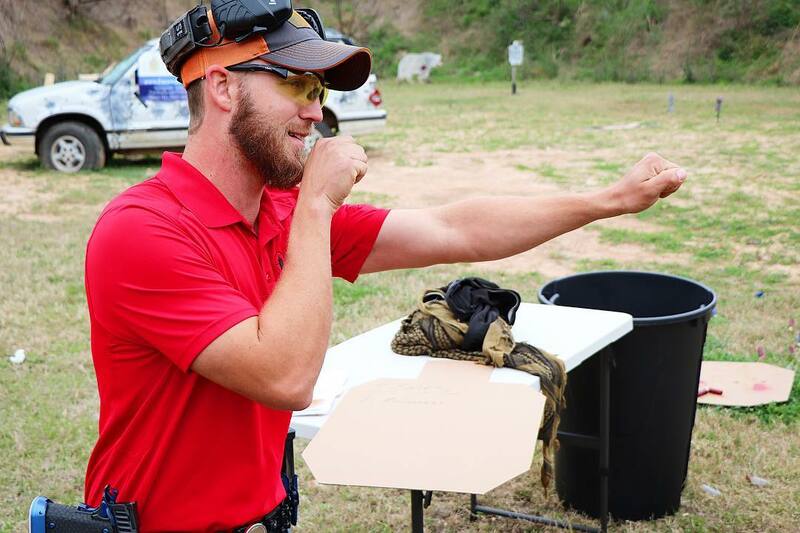 To learn more about Joe Farewell and his company, be sure to visit Farewell Firearms Training. You can also follow him on Instagram.